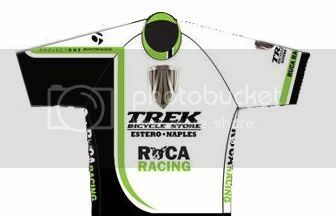 Has anyone received their 2012 kit? Let's see it! I dig both kits. I've always been scared of white shorts, how does the Hincapie stuff do in the rain? no idea yet. to be honest, I was 100% against the idea. 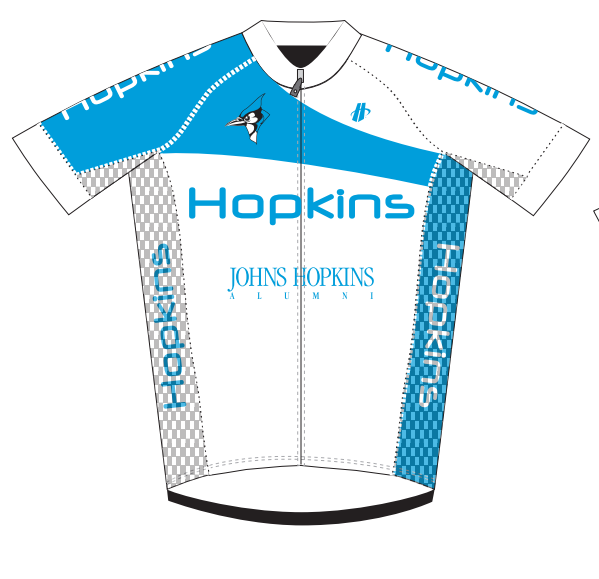 but a senior on our team has wanted white shorts his entire time at hopkins, so we let him have his way finally. Last edited by Jancouver; 01-07-12 at 01:14 PM. Last edited by Jancouver; 01-07-12 at 01:23 PM. 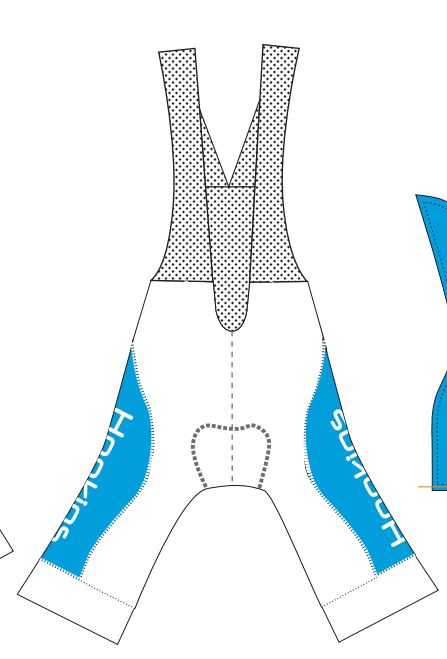 I would be a bit concerned with white velocity shorts from Hincapie. I have white on the outside of the legs of mine, and they're THIN. 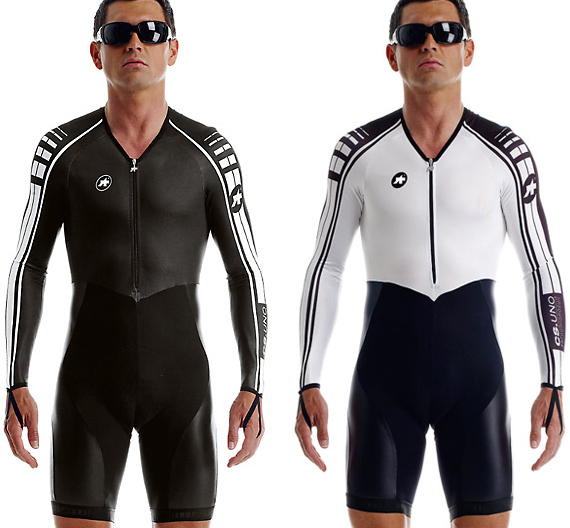 Assos - the guy reminds me of a video game character screen where you select your character. I'm thinking Unreal Tournament in this case. I don't have my kit yet. One of our new guys on my collegiate team this year is really good at photoshop, so we had him draw us up a really good design. Haven't seen my new USCF team's kit yet, although I know that a lot of the parts that were red last year are green this year...so that will be interesting to see! The front is too cluttered. Some of that should have been moved to the back. 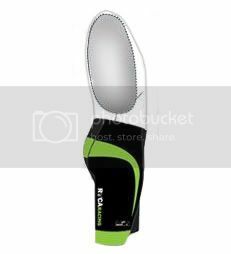 When the design was submitted were the images "vector" based or just a jpg? If the former, you'll probably be happy. If the later, you'll find that a lot of the lettering will look like crap because straight lines will not be straight. You're too tall for this sport. Really? With so many teams in the area? 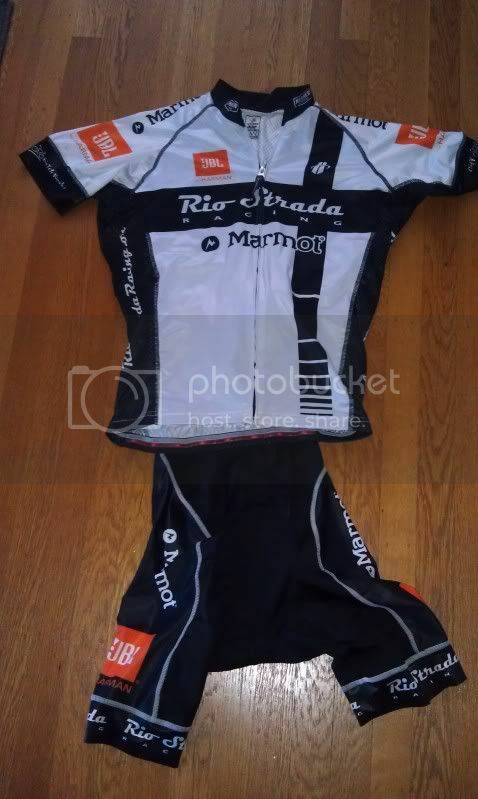 Rio Strada......always a strong group Nice kit. Does every thread title have to have the word "thread" in it? I know this is your way of hopefully making it the definitive thread on the topic. But, there isn't that much competition for attention in this forum. If you read the thread you would have known that it wasn't my choice and I did my best to avoid it. Thanks. I'm convinced that I'm going to meet a lot of new people with this kit; it's a conversation starter to my eyes.